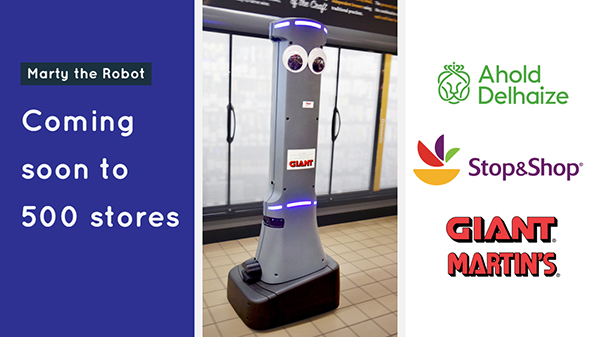 Company Press Release — Nearly 500 robots will be coming to the stores of Ahold Delhaize USA brands Stop & Shop and Giant/Martin’s, marking one of the largest deployments of robotics innovation in the U.S. grocery industry. 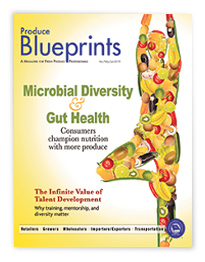 The rollout stems from a partnership between Retail Business Services – the services company of Ahold Delhaize USA – and Badger Technologies, a product division of Jabil, and follows successful pilots that improved in-store efficiencies and safety. The in-store robots, named Marty, were easily recognized by customers in stores by their friendly appearance where they were tested and used to identify hazards, such as liquid, powder and bulk food item spills and provide reporting that enables corrective action. They help stores mitigate risk caused by such spills, as well as enabled associates to spend more time serving and interfacing with customers. The deployment of robots at Giant/Martin’s and Stop & Shop is underway and will continue through the early part of 2019. Other Ahold Delhaize USA brands continue to test with autonomous robots in select stores.